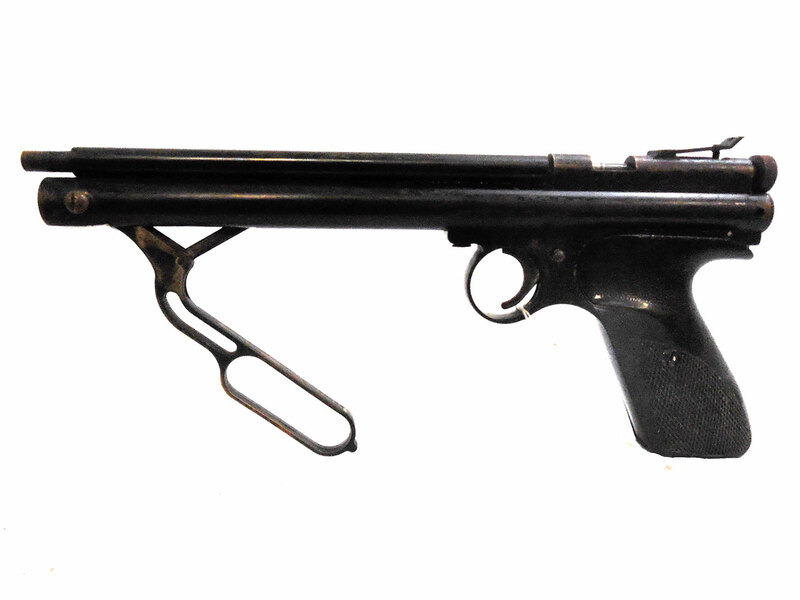 The Crosman model 105 Bullseye has a single shot pneumatic pump. It also has a rear sight and a one loop pump handle. 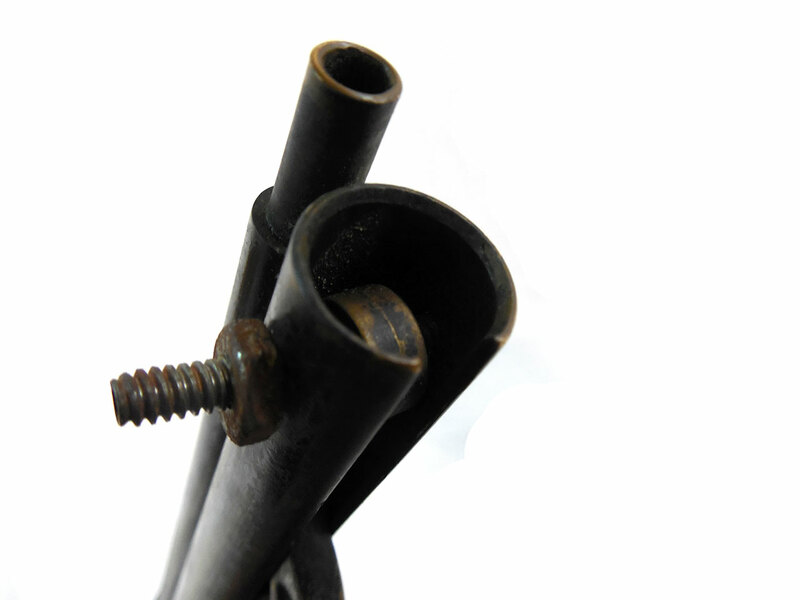 The checkered tenite grips are in good condition, and this gun still has about 70% of its original finish. This pistol is missing its front sight. 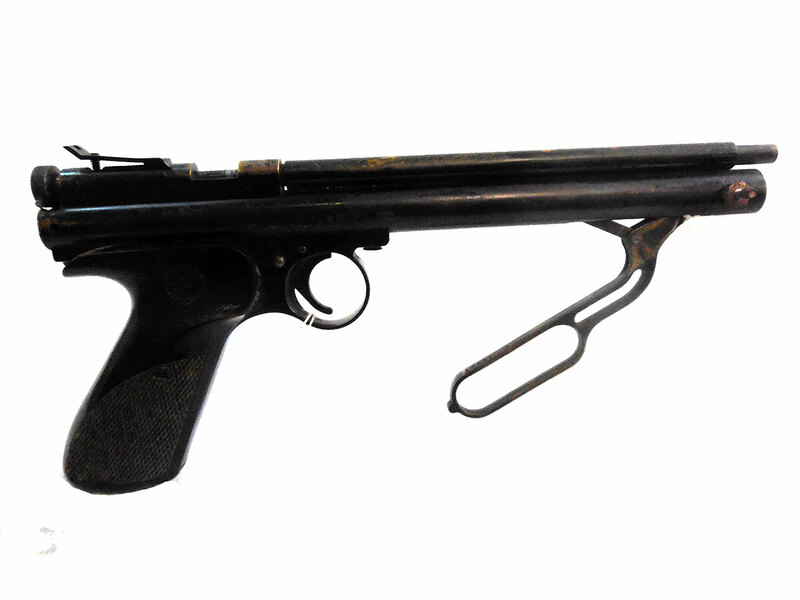 This gun does not work, and all of its original parts may not be there.